Chioma Chukwuka is a Nigerian actress. In 2007 she won the Africa Movie Academy Award for Best Actress in a leading role. And the Afro Hollywood award for best actress in a lead role in 2010.
was born in Oraifite,Ekwusigo Local Government Area, Anambra State, Nigeria. She completed her primary education at Onward Nursery and Primary School in Lagos State, and then proceeded to Federal Government Girls College in Onitsha, Anambra State for her secondary education. She then headed to Lagos State University where she studied Banking and Finance. While growing up, I had always dreamt of being on TV so when I went for my first audition in 1998, it further confirmed my desire to be in the field of arts. I played little skit and minor roles until I played first major role in 2000 in the movie The Apple directed by Lancelot Oduwa-Imasuen and produced by Theodore Anyanji. After my first audition in 1998, I didn’t do much because I didn’t know anyone and how to go about anything in the sense that I didn’t know where and what time to get to the audition grounds but I was determined to make it on my own, with or without any help from those who were already there. So, on a fateful day, on my way to school, a producer called me for an audition and I did my first major role and there has been no stopping since then. Chioma Chukwuka is one actress that puts in 101 efforts in most of her movie acts , she is normally seen acting as a woman subjected to different dehumanizing hardships in movies , thus she is always emotional in most of such movies- this is one reason why many of her fans love her. Chioma seems to appear mostly in movies shot between 2005 and 2006, a handful of her featured movies were also shot between 2003 and 2004. Chioma is one person that has maintained a scandal-free personality, even most of her close friends and associates attest to the fact that she enjoys a relatively quiet lifestyle. Chioma Chukwuka wedding in 1995 was classy and it resulted in the birth of Chioma’s 17 year old son. Chioma got married at the tender age of 17 and she has tried very hard to keep her marriage out of the spotlight. Chioma also had her first movie in the year 2000 in the movie titled “The Apple” the movie was a huge success and from that year,Chioma Chukwuka and her husband have had their share of celebrity gossips in social media networks and tabloids but the marriage remains intact. Chioma Chukwuka and family Chioma has managed her career with a pretty busy schedule with being loving wife and caring mom excellently. She has two sons, the first boy was born soon after she got married while the second one was born in April 2007. Her children do not share the rays of their mother’s fame because the actress is really protective of her family. She has never commented any moments of their growing in public. Therefore, there is not much available information about them. Chioma Chukwuka – our favorite actress Chioma Chukwuka and husband Celebrity marriages are most time always a public afire from the beginning till the end. Probably that is why there is a huge number of failed wedlocks among famous people. However, some of them choose to protect their private life from public attention. And maybe this is a key to the successful family life of celebrities. 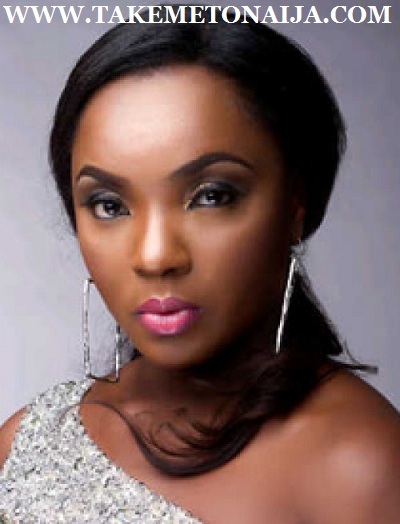 Chioma Chukwuka Akpotha has successfully kept the details of her marriage in secret. Chioma Chukwuka wedding was arranged secretly from paparazzi attention in 2006. Her husband is not a famous person. His name is Franklin Akpotha. Even though we do not know enough about her husband and their marriage, the major fact is that they are still together. The most important things for the actress are that her husband should be a good husband and the best friend. According to her, it is obvious that she has found the one. Here are some of her descriptions of her husband and family: “As a married woman, what has marriage taught you?” “I have learnt a lot from being a married woman because it only takes the Grace of God for two people who are completely different to stay together for the rest of their lives. One of the main things I have learnt is patience and perseverance. One needs to tolerate another. My husband and I not just see ourselves as been married; we are also best friends for each other.” “Much has not been said about your husband; how will you describe him and why haven’t we been seeing you two together?” “I have got the best husband as a friend and the father of my children. He is loving, caring and supportive of my career and for not seeing him around me. It is our mutual agreement to make our marriage private. We are happy and our source of joy is our children.” Chioma Chukwuka and her husband In conclusion, I would say that public appearance and glamorous photo shoots with ones husband and children are not the evidence of a successful marriage and family life. And Chioma proved that hundred percents. So are Chioma Chukwuka and her husband happy together? I guess yes. And what do you think?